Another Home Show - and a restyled sewing table! Hi there! It would seem that spring is finally in the air . . . well warmer weather and rain anyways. Original Mango Reclaimed artwork - available in store. What better time than spring to start thinking about projects for the home? 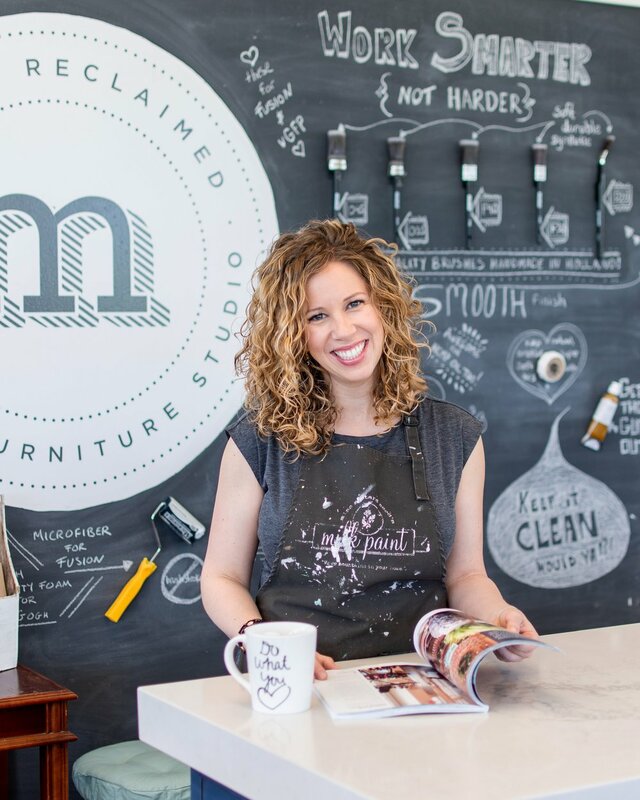 Mango Reclaimed and The Inspiration Nest will be taking the studio on the road again to meet and greet lots of new faces at the Durham Home Show this weekend! The Durham Home Show takes place Friday April 25th - Sunday April 27th at the Whitby McKinney Centre. Print your 2 for 1 admission coupon here. Everything you will want to see for your home inside and out is on display at the show. We will be there to answer any of your questions about restyling your furniture or home decor. Stop by and see us - we would love to see you there! More original Mango Reclaimed artwork - available in store. 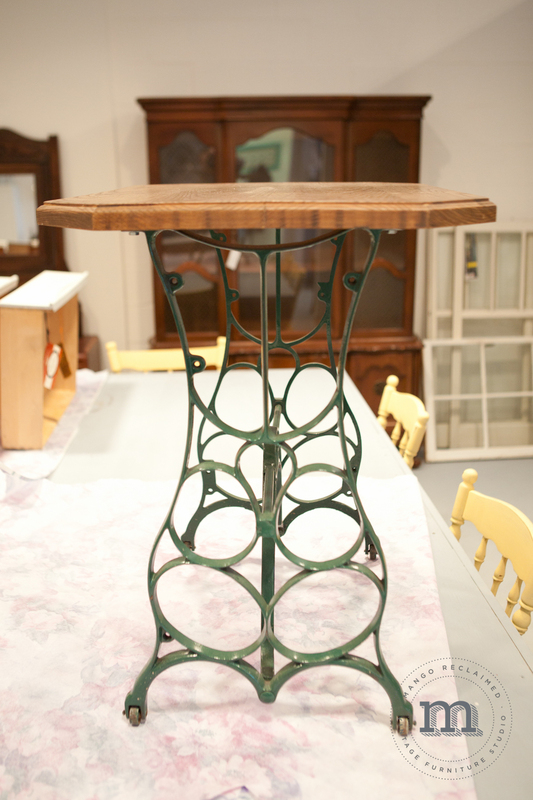 Now, how about this restyled sewing table? Painted white, given some soft grey stripes and a bit of distressing this table is now completely adorable! The colours are soft and neutral, the stripes add character and the sewing table base has plenty of charm. A glimpse at the 'before' and 'after' . . . do you like the stripes? What do you think? See you this weekend at the Durham Home Show!